Award-winning style, features, and safety. 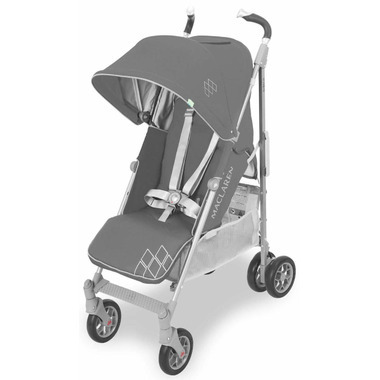 Techno XT sets the standard for easy maneuvering and smooth ride in a full-sized umbrella fold buggy. Featuring a full recline 4-position seat with convenient one-handed adjustment and extendable leg rest with memory position. When the seat is fully reclined, the Newborn Safety System can be deployed to create a cozy, lie-flat cocoon. When the seat is fully reclined to accommodate new infants, the Newborn Safety System can be deployed from beneath the seat creating a cozy, lie-flat cocoon. 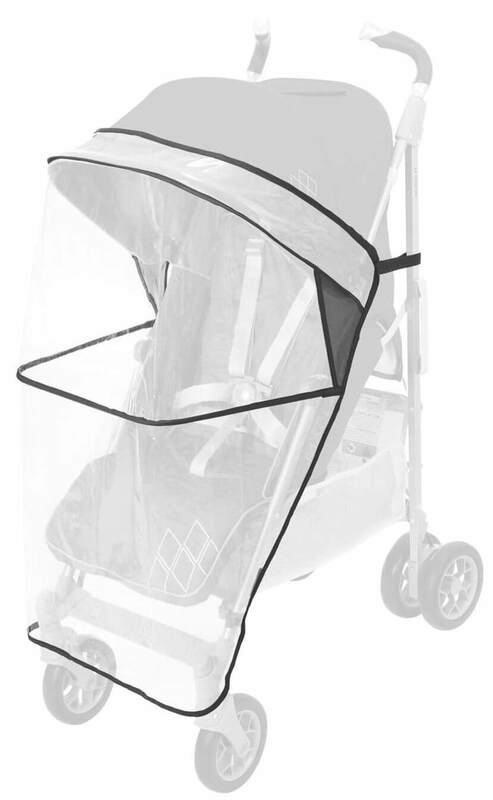 Proudly protecting little ones from the elements with Maclaren's waterproof and UPF 50+ expandable hood with built-in sun visor. Easy access storage, right on the back of the hood. 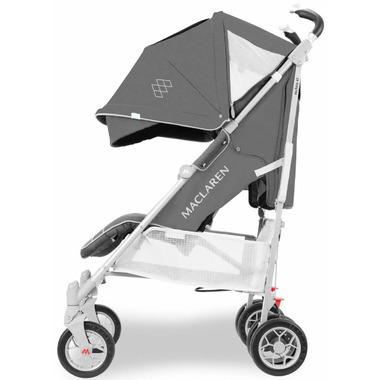 Maclaren buggies are carefully designed so their pilots can easily reach the handles standing straight and walk comfortably without kicking the back of the frame. The two-position extendable handles add extra reach with the click of a button for taller parents. Five safety straps securely mounted to Maclaren aluminum frame mated with the exclusive two-finger release buckle making every Maclaren the safest seat around. 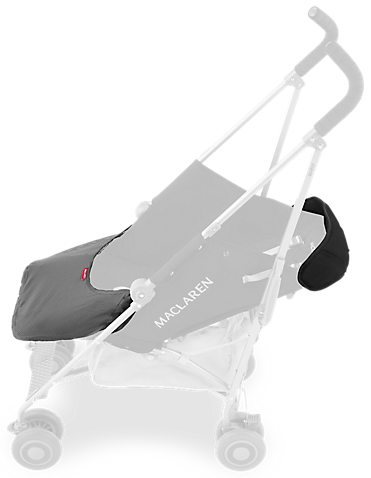 All Maclaren buggies have all-wheel suspension, designed to provide effortless steering qualities and a super smooth ride. Large, easy access storage below the seat. The Maclaren Carrycot is the idea lie-flat environment for newborns recommended by health professionals for proper infant development. Easily and securely attaching to the stroller's frame in a rearward-facing position, the Carrycot gives parents direct view of their little one; while built-in carry handles offer easy transportation. Oh dear... have we spilled something? Fear not! Every Maclaren seat can be easily removed and machine washed - an extremely useful trick not found on many other buggies. Machine was in cold water on a delicate cycle and hang to dry.